Great service, nice facilities and the cleanest restrooms I have ever seen. They always do a great job here! The work on my car is always above satisfactory. I love Warrenton Kia, Bill is a wonderful person and will try to help you with anything you need or any questions you have. If you go to Warrenton Kia ask for Bill, he will help you find the perfect car. Everything you want/need in a car, he will help you after you buy your car. 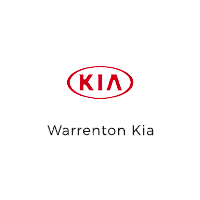 I highly recommend Warrenton Kia! They are amazing!